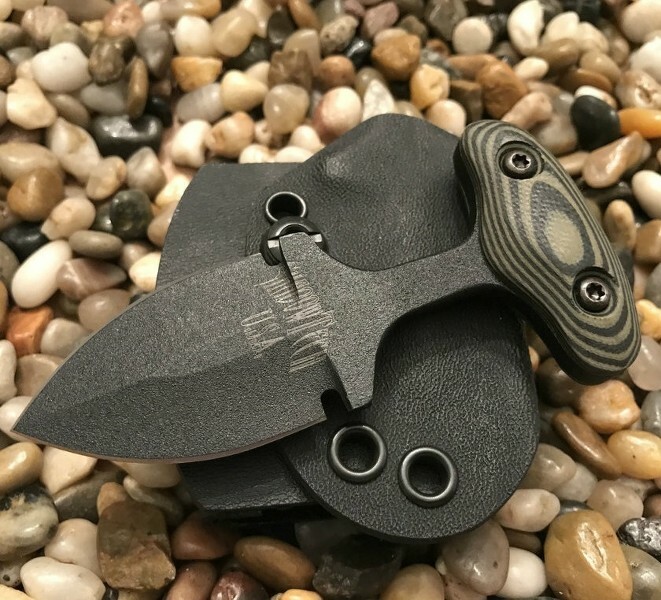 This Shadow Tech Knives 2" Push Dagger has a double-edged blade that is black powder coated 1095 steel. The handle has comfortable black & green G-10 scales for a sure grip. The Push Dagger comes out-fitted with a black Kydex sheath with a removable belt loop. Made in the USA.